In a time where communication skills are more important than ever, we have an opportunity to be more effective communicators. We are able to modify our style to convey a clear message via phone, email, in person or social media. 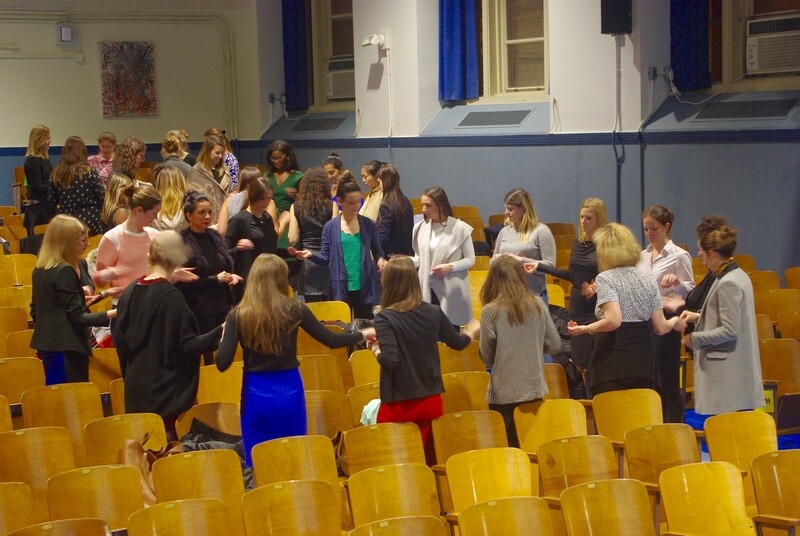 At the New York Junior League, volunteers build and maintain relationships through enhanced teamwork that trains us to become better communicators. 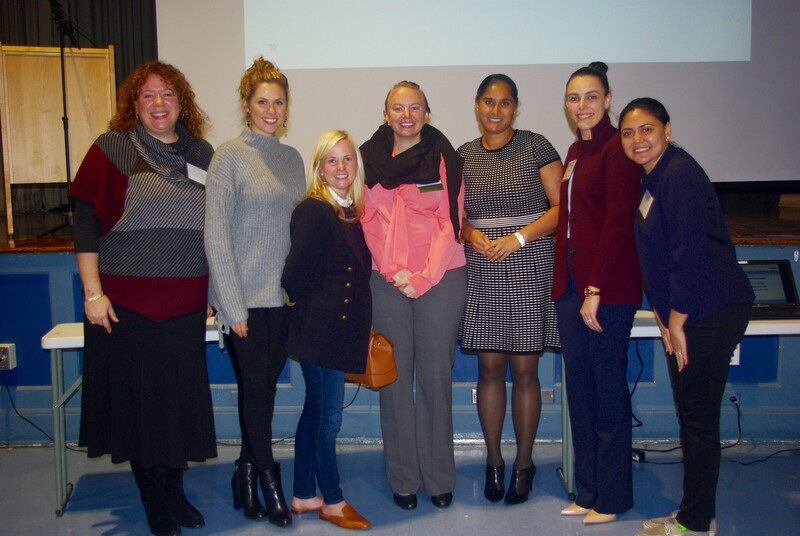 Left to right: VET Co-chair: Derry Wilkens; Volunteers: Kasey Hayden, Amy Carpenter, Sarah Wen; Speaker: Manendra Bhugra, Manager of Learning and Development at CCA Inc.; Volunteer: Lis Maggi; VET Co-chair: Michelle LeNoach. During the recent Volunteer Education & Training (VET), Strengthening Communication skills, our guest speaker, Manendra Bhugra, CCA’s Manager of Leading & Development shared tips on effective communication. She emphasized the importance of active listening while interacting with others. As active listeners, she presented on how we should consciously be aware of these filters: attitudes, experiences, and the emotional state that revolves around the speaker. The volunteers participated in a fun experiment based on active listening; in a circle, volunteers passed a paper clip from one to another from right to left every time they heard the word “right” and “left.” At the end, they realized they were not listening actively since their main focus was the words right and left and not the content of the story. Throughout the presentation, volunteers interacted with each other in small groups and talked about how they deal with challenging conversations. Manendra advised volunteers to redirect the conversation to find a solution whenever dealing with a difficult conversation. The technique is to turn on the H.E.A.T (Hear, Empathize, Ask questions, and Take responsibility). The presentation concluded with the importance of communicating respect, valuing individual differences and creating a feedback culture. At the New York Junior League and in the communities we work, giving and receiving feedback is what makes us better communicators. Mark your calendars for the first VET of 2018! Taking place on January 29, volunteers will learn about the responsibilities and commitments of this leadership role and the application, timeline and process for becoming an NYJL co-chair.